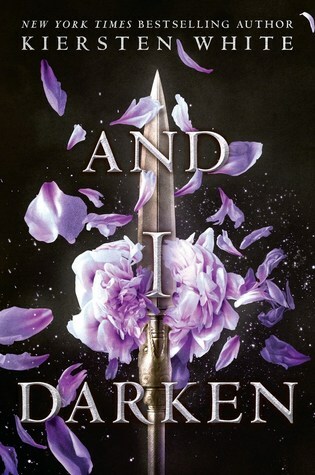 And I Darken was quite an interesting book for me. It is a retelling of Vlad III, Prince of Wallachia, or better know as, Vlad The Impaler. This story takes place in the mid 15th century when the Ottoman’s were trying to take Constantinople. It focuses on Lada (female version of Vlad), her brother Radu, and Mehmed- heir to the Ottoman Empire . It is a dual narrative, switching between Lada and Radu. Lada Dragwlya is one of the strongest female characters I think I have ever read. She doesn’t take crap from anyone. She isn’t afraid to stand up for her beliefs and even tell the most power man in the world no. Her mind is a thing of it’s own. She is always calculating, planning, evaluating every situation, trying to figure the best way to get her agenda accomplished. She does everything in her power to show that she is equal to any man. Radu Dragwlya is the opposite of his sister. Where she is night and terror, Radu is sun and calm. While he doesn’t start out as smart as Lada- by smart I mean calculating and conniving- through the teaching is Islam, his mentor, and watching the Ottoman Court, Radu learns to use his beauty and friendliness to develop relationships with the “right” people. Top use those relationships in the same way Lada uses strength and will. I loved that And I Darken was more a setup for what is to come. In order to understand the end game the characters must be developed and complex. White does an exemplary job with Lada, Radu, and Mehmed’s growth. They start out as children, barely understanding the world in which they live. But over the ten to fifteen year period the novel takes place, each character grows into their traits. And by the end, they each know their purpose in life and do what is necessary to fulfill it. I also want to applaud White on her research and detail to Islamic religion. It is quite clear she went above and beyond to understand the religion and portray it in the most realistic way possible. Our society judges Islam as a terrorist religion when, in fact, that is an extreme view of it. White showed the other side, the peaceful side, the true side. Knowing nothing about Vlad the Impaler, the Ottoman Empire, and Islam I truly enjoyed this book and what Keirsten White had to offer us. Definitely give this novel a try. I’d like to thank Random House Children’s and NetGalley for the opportunity to read this ARC. Receiving this ARC for free does not sway my review. 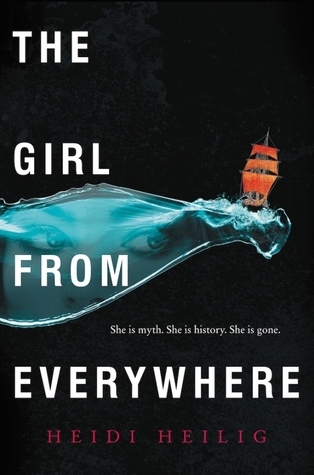 When I first started The Girl From Everywhere, I was really worried it was going to be so similar to other time-travel novels I have read. Specifically, Passenger by Alexandra Bracken. So I went into this novel with low expectations, not really sure I would like what I found. And I have to say I was extremely wrong! Which, in this case, feels amazing. Heidi Heilig tells a very original, profound story.She grew up in Hawaii and took the tales and folk lore she learned and wrapped them into an adventure full of beauty and paradise. Also, Heilig’s idea of time travel, using maps of different places and times is quite imaginative. I haven’t read a story where that is how time is traveled by. Nix, the main character, was born in Hawaii, but after her mother dies, her father takes her aboard his ship. This is where she lives for 16 years. Nix, her dad, and their crew travel to different continents through time. All the while, her father is in search of a particular map, to take him back to the time before Nix’s mother died. And this is how the story twists and turns, in search of a map. The relationship Heilig presents between Nix and Slate (her father) is one that is truthful, distant, and full of regret. She regards him with distance. She is resentful of his dependence on her because she is the “expert” with maps. And she is fearful that when he finds the map, her life will change for the worse. He wants to go back to before her mother passed away, therefore changing her current life. Will she become a different person? Or will she disappear all together? And it is very clear that Slate doesn’t think about the consequences of his actions. He is very narrow minded. The events that take place over the course of The Girl From Everywhere really show character growth. Not only from Nix, but from her father as well as crewmate Kashmir. Kashmir is an interesting character, with a very unique background. The relationship between him and Nix is full of tension. There were moments when, had Nix said something, their friendship could have moved to be more. But because she is fretful of her father’s plan, and her own longing to escape Slate, she keeps Kashmir as a distance as well. She is mostly worried about losing him, and becoming her father. She is witness to what happens when you lose the love of your life. The Girl From Everywhere is refreshing and envisioning. I thoroughly enjoyed the intertwining relationships between all the characters. V: Oh My Gosh. I was warned my feels would die and I joked about it but I did not know how badly it would hurt. THAT ENDING. DEAD. But… I guess we should start of with something lighter. Let’s talk about Etta. I think she was a good main character and I was actually not annoyed by her at all. What do you think Liz? V: I 100% agree with you! I loved that Etta asked Nicholas to be her partner, not her servant, her helper, etc. It truly shows a lot about her character and what we can come to expect from her. And Nicholas. I did not expect to like him as much as I did. He is such a good male character and so far, I haven’t really found fault in him. I hope this doesn’t change. But darn him if he’s not swoon worthy and that is all I can see right now. *wiggles eyebrows* What do you think of the “villain” or “Villains” I should say? And Etta’s mom. She’s… cold. And doesn’t seem to have a motherly instinct in her. L: Nicholas is probably one of my favorite male characters that I’ve read in a long time. (Kind of wish he was real 😉) I would also say that there is more than one villain, which I think is important to the story, to keep it moving. BUT who is actually a villain v. who is just a terrible person? Alice is precious and needs to be protected. And Etta’s mother… Ugh she’s abhorrent and probably ONLY has Etta to fulfil Rose’s wants/needs. I would define her as narcissistic. V: I like that. Not everyone is a villain, but there are a lot of terrible people in Passenger. I can’t wait for the second book to come out. I really need to know more about Etta’s father and how the heck did Etta’s mom evade everyone?! Any last thoughts Liz? L: I had seen this book several times, read the summary but wasn’t sure I wanted to read it. I am so glad I did. Passenger is beautifully written. Full of details. Flowery language. Alexandra Bracken has stolen my heart. And I can’t wait until Wayfarer is published. Disclaimer: Thank you Disney-Hyperion and NetGalley for giving Liz and I the opportunity to read this ARC in exchange for an honest review. Receiving this book for free does not influence my opinion. 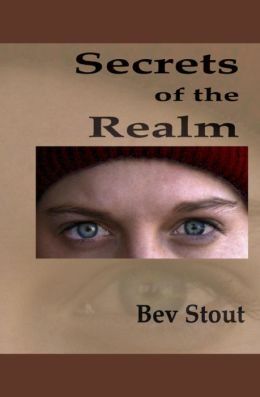 I want to thank the author Bev Stout for giving me a copy of her book in exchange for a honest review. Blamed for her uncle’s death, fifteen-year-old Annie is on the run. Knowing the perils she will face on the streets of eighteenth century London, she disguises herself as a boy. Her life on the streets is cut short when she becomes Captain Hawke’s cabin boy. Not only must Annie work alongside the Realm’s motley crew of outcasts and gentlemen, she must also keep her superstitious shipmates from discovering she is a girl. Annie vows she will never leave the Realm, where dreams are chased, shattered lives can mend, and secrets are stowed like keepsakes in an old desk drawer. But when her past catches up with her, can she return to the Realm? More importantly, will she have a choice? At first, I wasn’t so sure if I liked Annie. Her temper and her actions seemed to get her into trouble all of the time. Through the course of the novel though, she grew and I started to like Annie a lot more. The secondary characters that I absolutely loved and dare I say loved before Annie, were Doc and Christopher. They both helped Annie in so many ways and made Annie a more relatable and personable character. Now, let’s talk about someone I’ve been avoiding on purpose for several reasons and that is Captain Hawke. For a while there, I didn’t know how old Captain Hawke was, but towards the end, I figured out how young and handsome he is. I dare not say more for the sake of not spoiling you. I also want to point out quickly that Annie’s attitude for a girl in 18th Century England is not the norm. I love that she prefers sailor clothes over frilly dresses, and that she is strong willed. We can really see the difference in her attitude when the men are telling a story about something dangerous that happened out at sea and one of the lady’s at dinner is fainting, saying such a story was giving her vapors. The author clearly shows how differently women were viewed in the 18th Century. Lastly, I enjoyed the culture created by the sailors in the Realm. In the Realm, they are all family and all depend on each other to defend the boat and help it get across the seas to its destination. I really enjoyed Secrets of the Realm even though it was a little slow at first. It is important you take in everything as you read it because some parts of the book are jam-packed with really fast paced scenes. I had to re-read some parts in order to fully capture what had been written. If you like Historical fiction and are a fan of the sea and the sea life, I would recommend this book to you. Welcome to the TalkingBookworm’s first Book Blast from the Past! Imagine being involved in two love triangles in two different centuries. What if, no matter which direction you travel in time, you must abandon someone you love? Meet 15-year-old Annie Lockwood, a romantic living in the wrong century. When she travels back a hundred years and lands in 1895–a time when privileged young ladies wear magnificent gowns, attend elegant parties, and are courted by handsome gentlemen–Annie at last finds romance. But she is a trespasser in time. Will she choose to stay in the past? Will she be allowed to? Time Travel. I wish more books had time traveling in them. I was surprised to find myself enjoying a book that is written in third person because I normally tend to shy away from books that are in third person. Cooney brought up the issue of women rights and what is really expected of a woman. I applaud her for educating tweens on how bad it was for women in the past, and how far we’ve come to remedy those incorrect notions that society had of women. This book is really 90’s down to the core. I think that’s another reason why I love it so much. It’s a book that can take me back to my childhood. 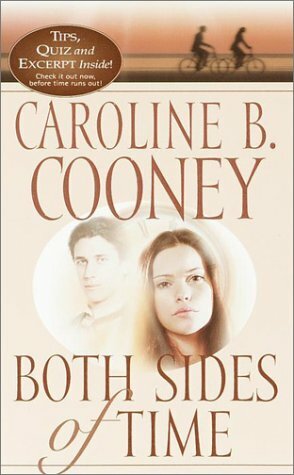 The first 80 pages of the book had me questioning why I loved this book so much when I was a tween. I disliked the fact that it took almost half of the book to finally get to an exciting, intriguing part of it. I think the first book in a series always suffers from this syndrome, the “let’s set everything up so the reader knows what I’m talking about in the future” syndrome. I prefer stories that have flashbacks instead of being trapped in the past for ages. When I think ‘time travel’ I think ‘excitement’, and the first half of the book wasn’t giving me the excitement I was craving. Even though Cooney did a good job with the background of Annie and Strat, it was still hard at times for me to sympathize with the characters. I think part of it was because the book was set in third person. I lost some of the connection with the characters because I wasn’t in their heads all of the time. Towards the last third of the book the silliness left and a serious more modern tone set in. I really loved the turn of events and how the last third of the book progressed. Overall, I still love this book even though I didn’t enjoy it as much as I did ten years ago. At the end, I felt for Devonny, Harriet, and Florinda. Strat proved to be a better gentleman than most gentlemen in his time, and Annie finally did what she was supposed to do from the beginning. This book is a book everyone should read. It teaches the reader history, educates them in a style of writing, and brings enjoyment at the same time. I recommend this book to everyone. Young and Old. You’ll understand my love for this book once you’ve read it. 5/5: I love it! It’s as close to perfection as it can get!